New York City is known for museums, nightlife, shopping, historic sites, and parks. Your plan includes some of its best attractions: go for a walk through Central Park, take in panoramic vistas at Top of the Rock, pause for some photo ops at Statue of Liberty National Monument, and admire the landmark architecture of Grand Central Terminal. For reviews, more things to do, ratings, and other tourist information, read our New York City trip builder site . Charlotte to New York City is an approximately 4.5-hour combination of flight and bus. You can also fly; or drive. Traveling from Charlotte in January, things will get slightly colder in New York City: highs are around 40°F and lows about 24°F. Cap off your sightseeing on the 6th (Sun) early enough to travel to Washington DC. 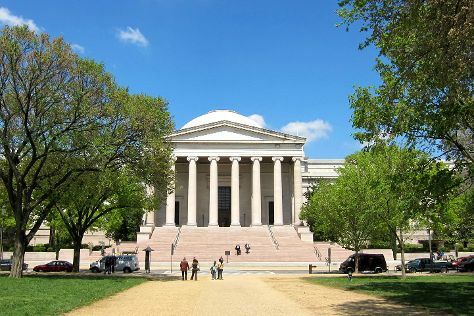 Start off your visit on the 7th (Mon): admire the masterpieces at National Gallery of Art, examine the collection at National Air and Space Museum, then appreciate the history behind Lincoln Memorial, and finally ponder the world of politics at White House. On the 8th (Tue), you'll have a packed day of sightseeing: take an in-depth tour of United States Holocaust Memorial Museum, ponder the world of politics at United States Capitol, then get a new perspective on nature at Smithsonian National Museum of Natural History, and finally appreciate the history behind Vietnam Veterans Memorial. To find traveler tips, ratings, and tourist information, go to the Washington DC road trip website . You can fly from New York City to Washington DC in 3.5 hours. Other options are to do a combination of bus and flight; or drive. In January, plan for daily highs up to 44°F, and evening lows to 29°F. Wrap up your sightseeing on the 8th (Tue) early enough to travel back home.